Situated in Korčula just 350 metres from the pebbly beach, Apartments Ivan & Ana is located 1.5 km from Korčula’s historic centre. Surrounded by back yard, it presents rooms and self-catering apartments with free internet access. A shared outdoors terrace with grill is at guests’ disposal. 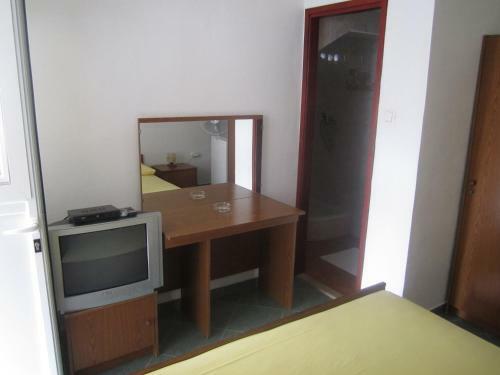 All accommodation units come with a TV, a refrigerator and a private toilet. Apartments also comprise a kitchen with a dining and a living area. Some units include air conditioning. The closest grocery store is 50 m away. A local bus stop with lines to Korčula, Lumbarda and ferry harbour is just 100 metres away. 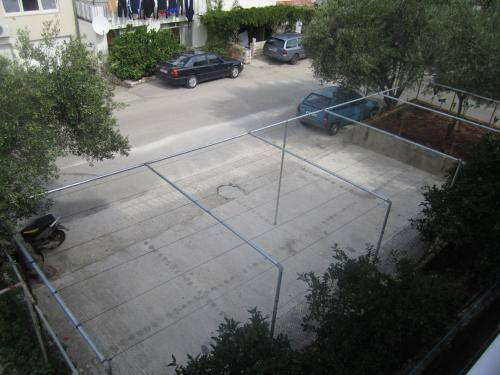 Tennis courts and taxi boats coming to the city of Korčula can be found 350 meters from the property. Guests can explore Korčula’s energetic centre and its narrow streets loaded with shops and eating places. Historic sites include Marco Polo’s House and St. Mark Basilica. Twice a week guests can also enjoy an old-fashioned sword dance called Moreška, which dates back to the middle ages. Various boat trips to not far away islands can be arranged in Korčula. Ferry Port with common lines to Orebic is 500 metres away. The Main Bus Station is at a distance of 2.5 km from the Ivan & Ana Apartments. Free car parking is possible on site. 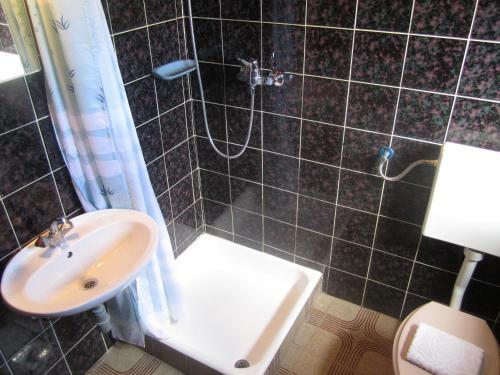 Apartment Botica ~0,3 km, Korcula Situated in a secluded part of Korčula, approximately 2 km from the Old City, Apartment Botica presents a balcony and gratis wireless internet access. The beach is 250 metres away. The apartment provides a seating area and a lcd tv. 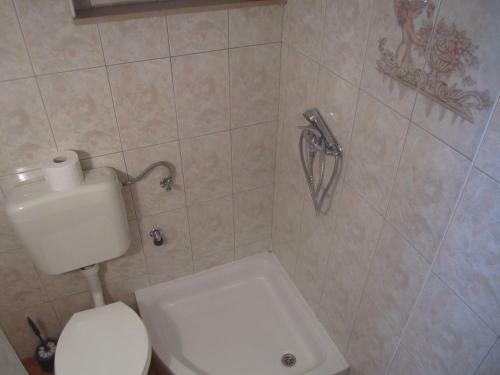 There is a full kitchen with an oven and a refrigerator, while the toilet presents a bath and also includes free toiletries. The back yard at Botica Apartment offers a furnished outdoors terrace fitted with grill amenities terrace. Zrnovo ( ~ 2.4 km ): 109+ accommodation units. Lumbarda ( ~ 3.5 km ): 220+ apartments, 12+ villas, 2+ hotels. Pupnat ( ~ 8.7 km ): 21+ apartments. Racisce ( ~ 10.8 km ): 41+ apartments, 4+ villas. Zavalatica ( ~ 17.4 km ): 135+ accommodation units. Smokvica ( ~ 20.3 km ): 3+ villas. Beach Fkk Badija, Korcula ~ 1,5 km from Apartments Ivan & Ana Rocky beach: with restaurant, with caffe bar. Nudism is allowed. Beach Kuciste ~ 3,3 km from Apartments Ivan & Ana Gravel beach: ideal for families, with restaurant, with caffe bar, equipped with showers. Excellent choice of watersports. 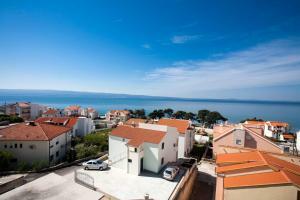 Beach Tatinja ~ 3,9 km from Apartments Ivan & Ana Sandy beach: ideal for families, with restaurant, with caffe bar. Excellent choice of watersports. Beach Bilin Zal, Lumbarda ~ 4,6 km from Apartments Ivan & Ana Sandy beach: ideal for families, recommended for young people, with restaurant, with caffe bar. Beach Trstenica, Orebic ~ 4,7 km from Apartments Ivan & Ana Sandy beach: ideal for families, recommended for young people, with restaurant, with caffe bar, equipped with showers. Excellent choice of watersports. Restaurant Koboa feral, Lumbarda ~ 2,8 km from Apartments Ivan & Ana Address: Waterfront lumbarda, Lumbarda. Cuisine: Croatian cuisine. Restaurant Konoba Belin, Zrnovo Guest reviews: 9,7/10 ~ 0,9 km from Apartments Ivan & Ana Address: Kb. 50, 20275, Zrnovo. Prices: 45 HRK - 112 HRK. Cuisine: Croatian cuisine. Restaurant Konoba Maslina, Korcula Town Guest reviews: 7,9/10 ~ 0,5 km from Apartments Ivan & Ana Address: Lumbarajska cesta SV.Anton, 20260, Korcula Town. Cuisine: Croatian cuisine. Restaurant Dusica Konoba, Korcula Island Guest reviews: 8/10 ~ 0,7 km from Apartments Ivan & Ana Cuisine: Croatian cuisine. Restaurant Konoba Malta, Korcula Island Guest reviews: 8,7/10 ~ 0,3 km from Apartments Ivan & Ana Cuisine: Croatian cuisine.